Thank you for your interest in enrolling in The StigmaZero Online Training Academy! We will be happy to provide you with details on how to get started. In order to streamline the process, please fill out the form so we have all the information needed – we will contact you shortly. Through The StigmaZero Online Training Academy, we provide companies of all sizes the training, tools and programs to end the stigma of mental illness in the workplace. 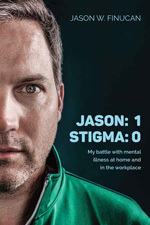 We are striving for a world without stigma - one workplace at a time.